Cabot Decorating is a traditionally trained professional painter and decorator based in Downend, North Bristol. Established in 1996 Cabot Decorating provide quality painting, decorating and wallpaper hanging in Bristol and South Gloucestershire. A trustworthy reliable interior decorator with Advanced City and Guilds qualifications and over 30 years of painting and decorating experience. Fully insured, highly skilled painter and decorator in Bristol and South Gloucestershire with many satisfied customers who are happy to recommend us. Cabot Decorating are Advanced City and Guilds qualified wallpaper hanging specialists in Bristol with decades of practical wallpapering experience. Seamlessly installing luxury wallpapers and quality wallcoverings. A fully insured and experienced wallpaper hanger providing reliable professional wallpaper hanging services in Bristol and South Gloucestershire. Are you searching for a reliable painter and decorator? A reliable professional painter and decorator with over 30 years painting and decorating experience. City and Guilds qualified Bristol decorator with Advanced Technical Diploma (NVQ Level 3). Fully insured with £2 million worth of public liability insurance for your complete peace of mind. A highly recommended painting and decorating service in Bristol and South Gloucestershire. Provide free written quotations including all materials with no hidden extras and no vat. 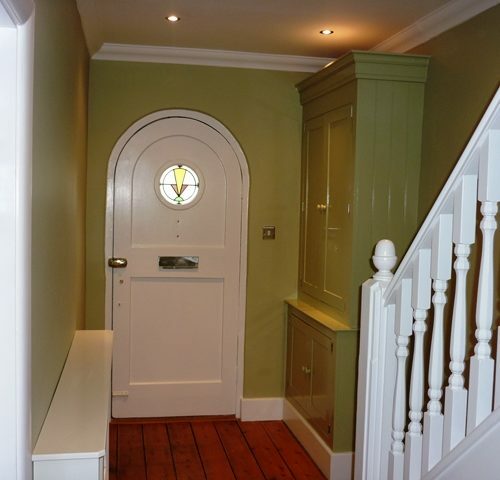 Can offer friendly expert advice from an experienced professional painter and decorator. Professional painting and decorating service in Bristol and South Gloucestershire. Fully insured and highly experienced decorator in Bristol who provides quality decorating, skilled wallpaper hanging and reliable property care in Downend, Bristol and South Gloucestershire. Professional interior painting carried out to the highest standards. All paints and specialists paint finishes expertly applied to interior ceilings, walls and woodwork by a reliable experienced painter and decorator in Bristol using the best tools and equipment available. 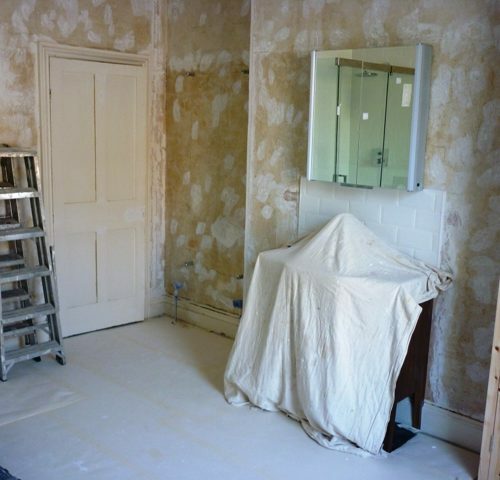 Expert wallpaper hanging in Bristol and South Gloucestershire carried out by a highly experienced and qualified wallpaper hanger in Bristol. A specialist in the installation of quality wallpapers and wallcoverings from leading design houses. Cabot Decorating know that good preparation is the key to successful decorating. That’s why all our surface preparation is carried out using best decorating practices. Sanding down including dust free sanding where ever possible. 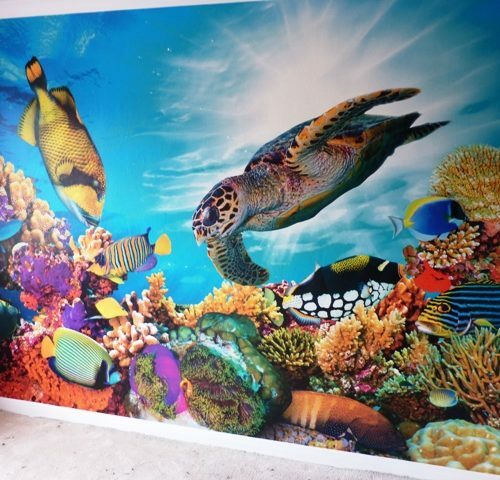 Wallpaper feature walls and digital wall murals installed by a qualified, experienced wallpaper hanger. 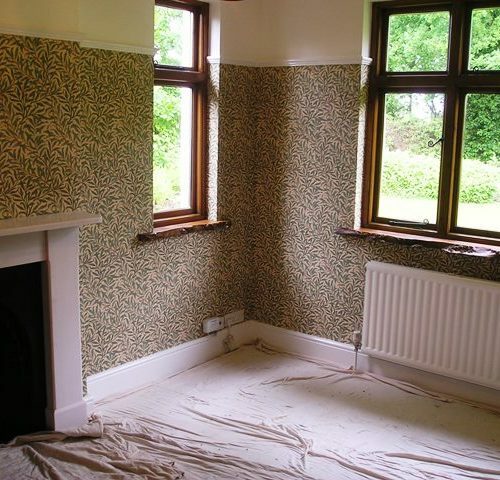 Highly skilled in the correct preparation and installation of high quality wallpapers and bespoke wallcoverings. Some recently completed painting and decorating projects in Bristol and South Gloucestershire. Cabot Decorating did our hall, landing and stairs. With a two year old toddler, it was imperative that the work was carried out in a tidy and professional manner and within the quoted timeframe. Adrian was extremely helpful, a very tidy worker and finished on time. We were delighted with the end product, both glosswork and emulsion were of high standard with excellent attention to detail. We would use Adrian again. Tara - Westbury on Tyrm. We had our hallway decorated by Cabot Decorating and are really pleased with the results. Excellent service and finish for both walls and woodwork. I have already recommended Cabot Decorating to family. We needed a new kitchen, utility room and wet room decorated and were thoroughly fed up with poor work and broken promises from the building trade. Cabot Decorating was like a breath of fresh air, his quote was prompt and detailed, he arrived on time, worked hard all day and was there every day until the job was finished. The finished job was outstanding. He took real care and delivered what many in the building trade can’t – a really professional job! Cabot decorating did a fantastic job. He was a real pleasure to deal with. Even now 12 months on I am still thrilled with the work that he did. I would definitely recommend him. Miss Thomas - Frampton Cotterell. I have to say Adrian did a brilliant job, he was friendly, thorough and reasonably priced. I would definitely recommend Cabot Decorating and use his services again. Cabot Decorating provided a prompt, professional and polite service from initial enquiry through to completion of the job. Standards were very high – both painting, gloss work and wall papering – and Adrian went out of his way to accommodate my specific needs. He checked levels of satisfaction along the way and immediately attended to some very minor snagging issues. A trustworthy, professional company which I would have no hesitation recommending to others. The hallway looks amazing. I would say probably the best wall papering I’ve seen. Such a professional, outstanding service and amazing value for money. I will recommend you to so many people. Absolutely delighted Adrian came to do two bedrooms and the kitchen. He did a brilliant job and I have asked him to come back to do the sitting room. Absolutely brilliant work that could not be bettered. I would recommend him to anyone. A professional in every sense of the word. Cabot Decorating did a fantastic job on a feature wall in our living room, quite a detailed pattern on the wallpaper and the attention to detail was spot on. Adrian is a friendly guy who is a perfectionist in his work, he went beyond what had been asked to make the wall look amazing and we are so so happy with the result. We will not hesitate to recommend to friends and will use again in the future as needed. Great job! Very pleased with the work carried out on our two bedrooms. Painting, wallpapering walls, painting and making good on ceilings and rails, skirting boards replaced where necessary. Tidy efficient job carried out, will use again thank you. You can read even more customer reviews and ratings on Google, Yell or FreeIndex. Looking for a professional decorator in Bristol? © Cabot Decorating 2003 - 2019 All Rights Reserved.